On November 19, 2018, a round table discussion on the topic “Environmental problems of the city of Almaty” was held at al-Farabi Kazakh National University at the UNESCO Department for Sustainable Development. In the round table participated undergraduates specialty “Geoecology” KazNU and “Ecology” KazNPU named after Abai. The main topic of discussion of the round table was the issues of ecology and environmental protection of Almaty. During the round table, Professor G.А.Sadyrova spoke about the environmental problems of modern megacities of the world, and the search for ways to solve this global problem. Undergraduates of the specialty “Geoecology” I.Salykbay and S.Aidarhanuly made presentations “The ecological state of the city of Almaty” and “Carrying out activities for greening the city of Almaty.” In their speeches, they spoke about the main problems of the metropolis of Almaty. 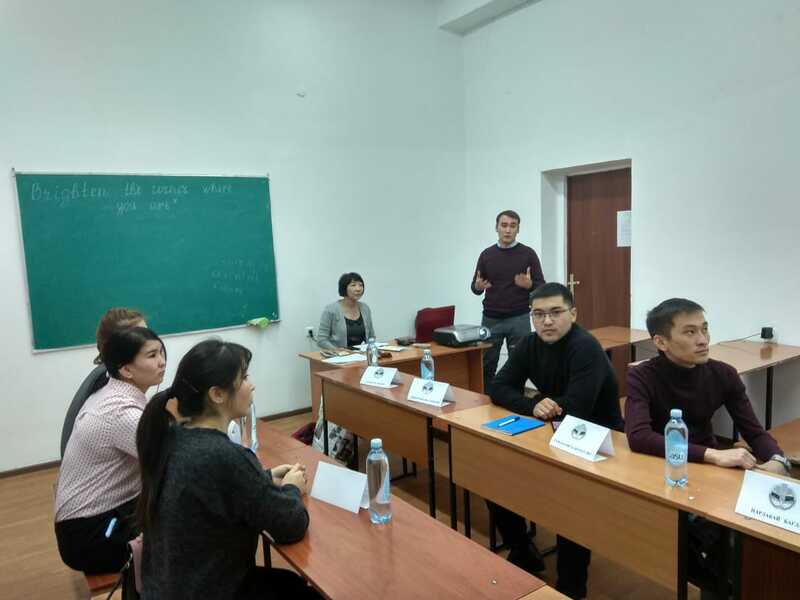 During the round table, undergraduates of KAZNPU named after Abay took an active part, who shared their suggestions on how to improve the ecological situation of the city of Almaty. Undergraduates A.Oshakbay, N.Seidkhamilidinuly, S.Pardabay conducted a sociological survey of residents of the metropolis, in which they asked questions: “How do people assess the ecological situation of the city of Almaty?” and “How are the residents themselves involved in solving the environmental problems of the city”? As a result of the survey, it became clear that an important problem for citizens is air pollution by road transport, which affects their health and impairs their well-being.